Home » Resources » Empower Sales Conversations » Account-based Selling for Buyer Enablement: How Does Your Solution Address Specific Customer Problems? 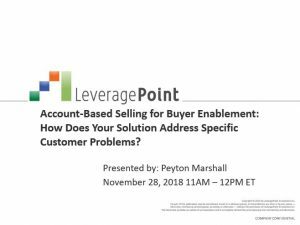 Account-based Selling for Buyer Enablement: How Does Your Solution Address Specific Customer Problems? 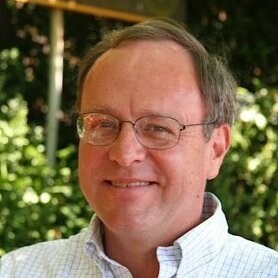 Is your commercial team aligned with a focus on the specifics of your customers? B2B marketers need Account-Based Selling to succeed with Account-Based Marketing. B2B sales teams need content and tools that engage customers in conversations about what your solution will deliver specifically for them. Pricing professionals need specific customer insights to design and execute more profitable segmented pricing. The best commercial teams focus their organizational energy on their Value Propositions, shining a spotlight on the audience that matters to all of them – the Customer.